How do you keep those students engaged who continually finish set tasks before others in the class? 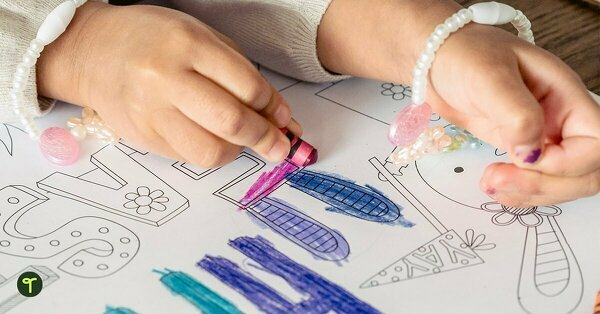 Finding quality ways to keep them exploring and pushing their learning boundaries is one of the holy grails of teaching. I get it! After all of the weekly planning, and other jobs that arise each week as a teacher, thinking about what students are going to do when they call out – ‘I’m done!’ can just be another task on your ever-increasing to-do list. 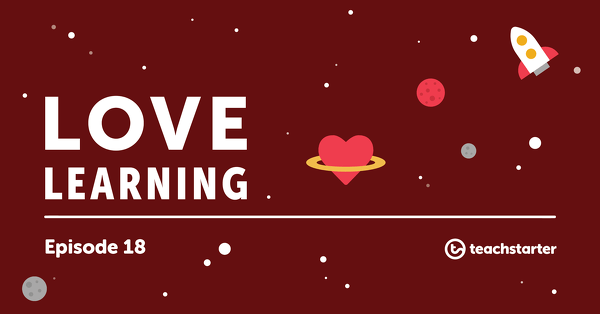 That’s why I have put together some of my favorite ways to incorporate a fast finisher activity routine in your classroom with these engaging and purposeful fast finisher activities. The best thing about spending a bit of time setting up a classroom routine for when students finish their independent work (the best they can) is that it’s routine. Technically the students don’t need to bother you, which leaves you time to spend with students who may be struggling with the set task. Make sure your students are fully aware of the routine or what to do when they finish a set task. Of course, they will need to be reminded to ensure they check their work before handing it in and ensuring they have done the best they possibly can before they move on to the early finisher rotation. 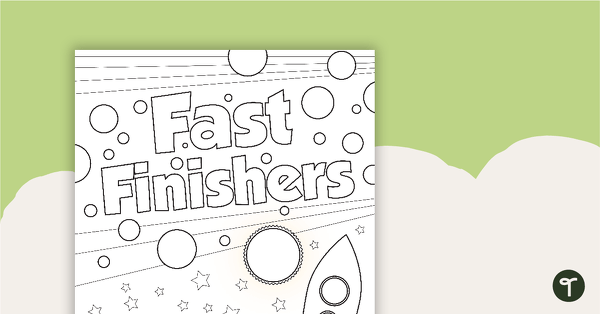 Fast Finisher Task Cards are the perfect mix of usability and set-up simplicity for your classroom. Set up these containers in an area that is easily accessible for your students to go and grab an activity. You can even color code them so that you can specify a subject area they need to pick from. What teacher doesn’t like color coding?? 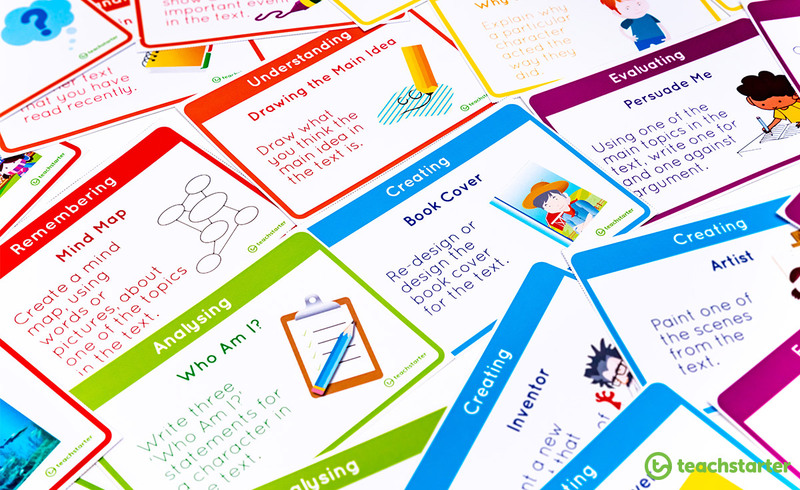 The beauty of our range of Fast Finisher Task Cards is that they cover a range of learning areas and year levels. A set of 16 vocabulary task cards. 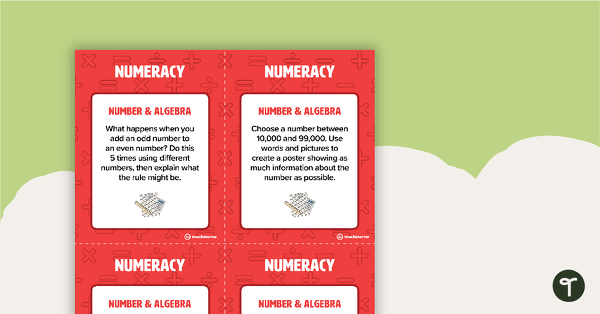 A set of 30 numeracy task cards. 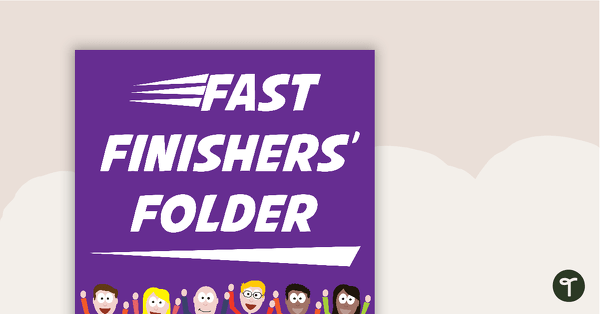 Check out the full range of Fast Finisher Task Cards. Creating a folder full of meaningful and purposeful activities for students to complete and stick in their workbooks is also another fantastic idea! At the beginning of each term, fill the folder with fast finisher goodness. 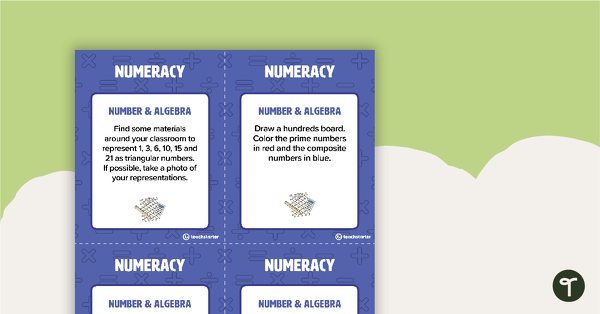 Simply copy a number of the same activity and place each in their own plastic pocket in the folder! Voila! 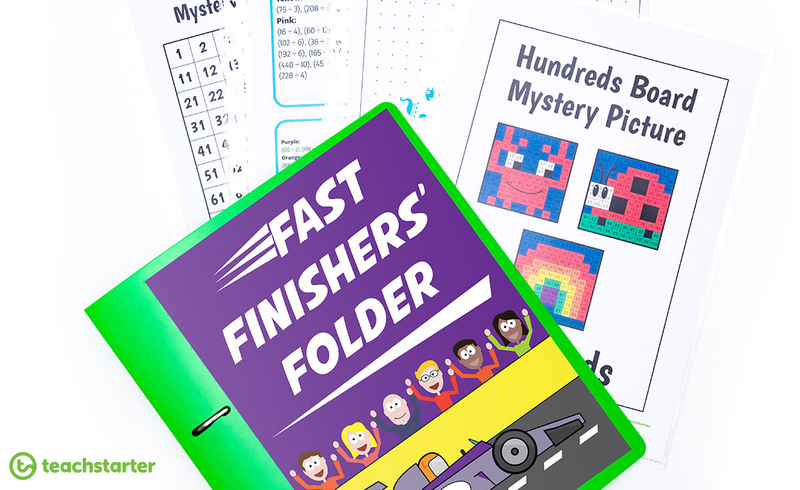 34 pages of different activities for use in a Fast Finisher Booklet. Twenty-one activities for your fast finishers. Your students will be begging you to get through their set work with a display like this in the classroom. 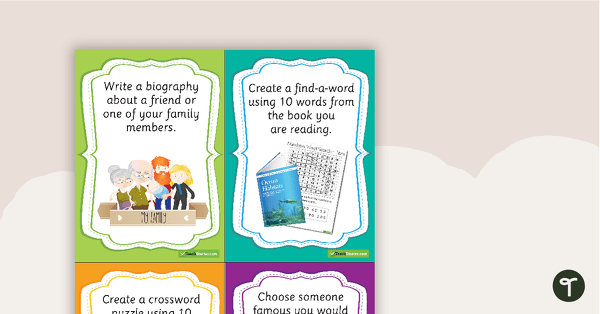 You can create little pockets separating the topic of fast finisher activities. With this set up you can either point your students in one particular direction or give them a choice. For example, before students begin an independent task you can let them know when they complete their set task they may pick from the ‘Read it’ or ‘Solve it’ activities from the early finisher pockets. The beauty about this set up is you can create it so that it suits your class. To create this display I used the Colors of the Rainbow Letter Set and the Colors of the Rainbow Word Wall templates. I also used some bright eye-catching pocket folders to easily store the activities. A set of 32 activity task cards that require students to complete addition problems and colour in a hundreds chart to reveal a mystery picture. A set of 30 literature tasks to assist your students with examining and responding to literature. 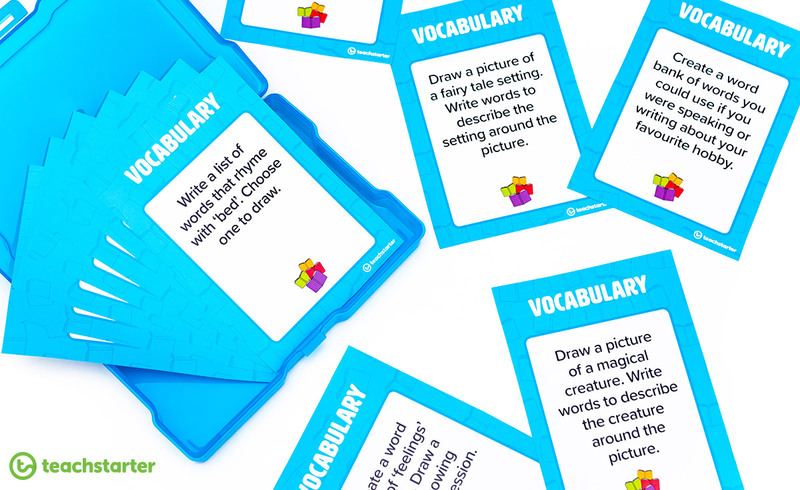 A set of 58 spelling task cards. 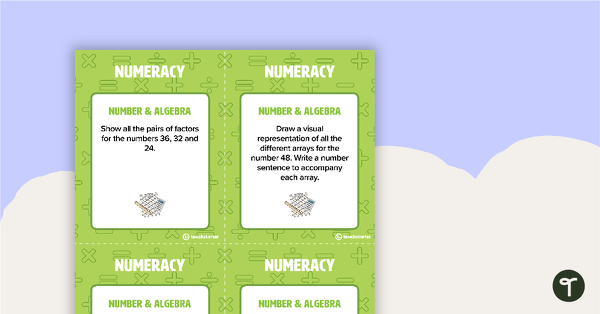 Over 40 reading task cards. 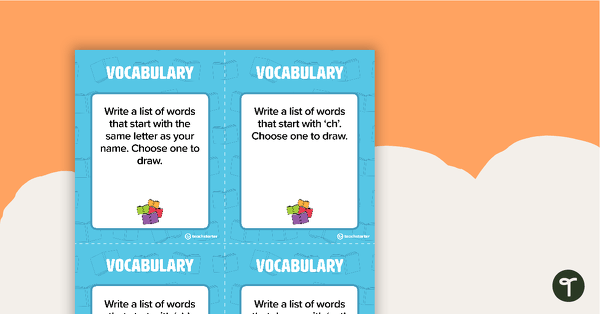 30 activity task cards for use with a vocabulary word wall. A set of 12 Money Math Word Problem Task Cards. A set of 36 tangram task cards separated into three levels, along with two tangram cut-out templates. 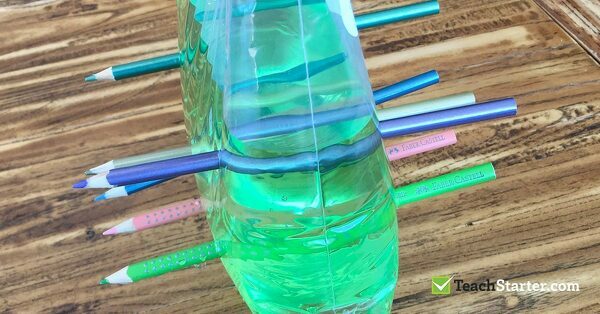 Such a simple idea, but a slight change and mix up can really get your students excited to learn more! 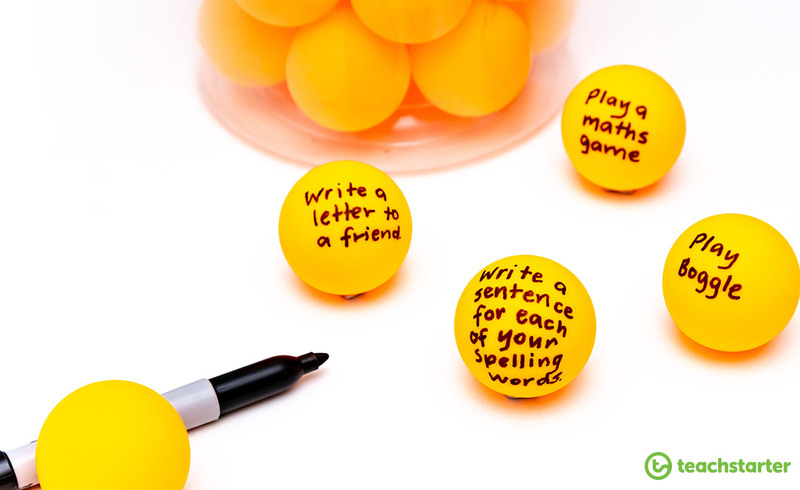 Write some simple fast finisher activities on ping pong balls and put them in a container at the front of the classroom. Students pick a ball and complete that fast finisher activity. You can also write the activities on large pop sticks too! We have such a range of activities that could easily be used for which every fast finisher set up you decide to go with. 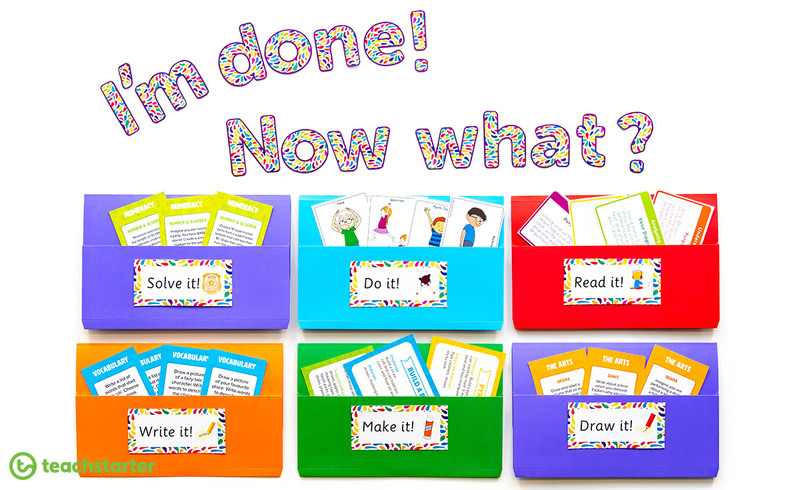 All you have to do is search ‘printable task cards‘ and you’ll be shown a collection of 179 different sets of task cards that could be easily used for early finisher activities. 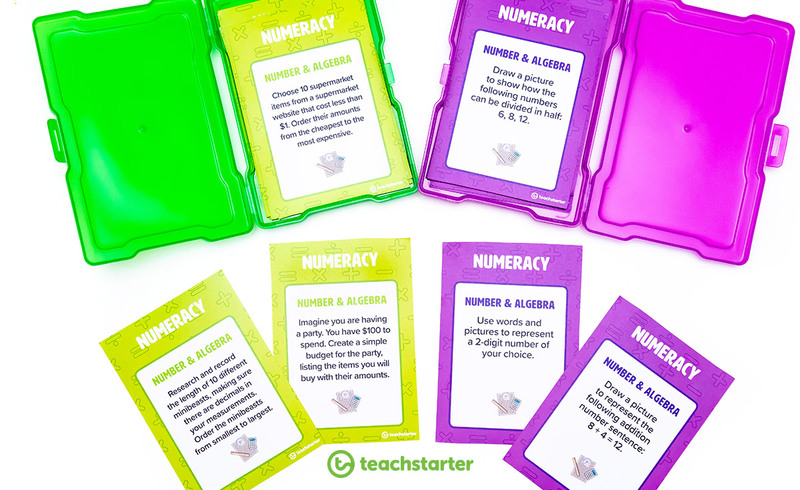 The perfect collection of activities to use for those early finishers in your classroom! 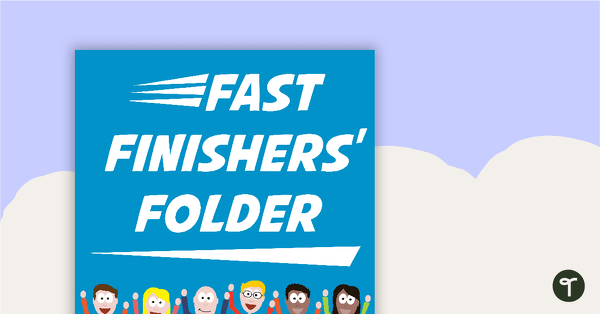 Spending a bit of time setting up a fast finisher routine is sure to help you in the day to day running of your classroom! Go on… give it a go! We’d love to hear from you! 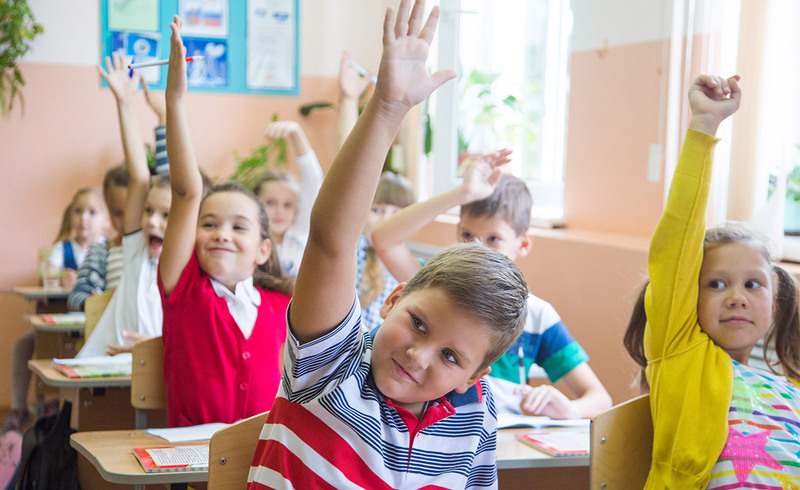 What do you do with your early finishers in your classroom? Share in the comments section of this blog. These Easter bunnies are doing their rounds on social media...and it's no wonder why - they are super cute and easy!! 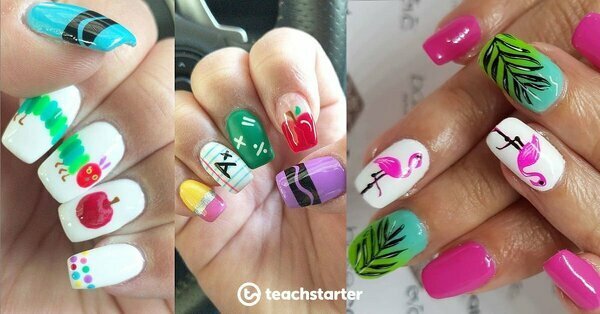 #teachernails | Teacher Nail Art is a Thing! 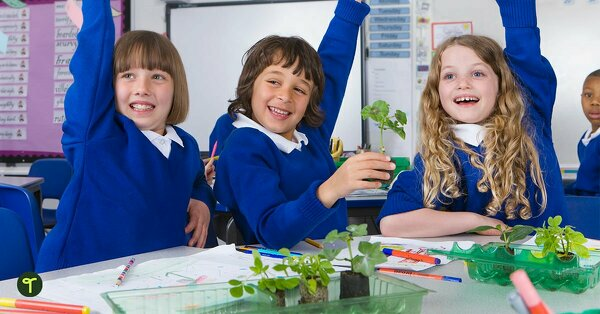 We believe in a world where every child is inspired to build a purposeful and happy life through learning.